The Master of Arts in Clinical Mental Health Counseling at Lenoir Rhyne University is designed to prepare graduates for positions as professional counselors, the program meets coursework requirements toward professional licensure. Courses are available evenings and weekends or online to cater to working professionals. For the convenience of students, courses for the counseling program are available at all three campuses of LRU in Hickory, Asheville, and Columbia, S.C. The programs in Hickory and Asheville are accredited by the Council of Accreditation for Counseling & Related Educational Programs (CACREP). Accreditation in Columbia is pending. Clinical Mental Health Counseling has 61 required credits and School Counseling has 52 required credits. The Clinical Mental Health Counseling program is available in Hickory, Asheville, and Columbia.  The School Counseling degree is available in Hickory and Asheville. All faculty members are Licensed Professional Counselors who emphasize a mentor relationship with their students. Designed for the working professional in mind with online, evening, hybrid, and week-end course offerings. Traditional and Career Admission Tracks give students more than one way to be admitted.